Is there a future for 24 and Prison Break? Deadline reports FOX is developing a new 24 series and a new season of Prison Break. FOX’s last 24 spin-off series, 24: Legacy, was cancelled after one, short season due to low ratings. And after years off the air, the network revived Prison Break for a fifth season last year. Now, FOX chairman Dana Walden says the network is developing a new 24 series from original creators Joel Surnow and Bob Cochran. Meanwhile, the network is also working on a new iteration of Prison Break. Though, president of entertainment Michael Thorn says the series is still in the early stages of development. What do you think? Are you a fan of 24 and/or Prison Break? Would you watch new revivals? 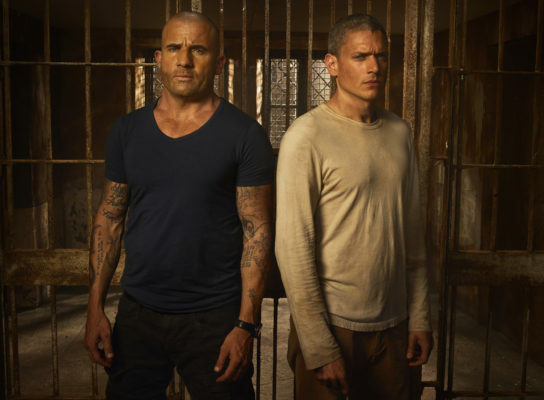 More about: 24, 24: canceled or renewed?, FOX TV shows: canceled or renewed?, Prison Break, Prison Break: canceled or renewed? I am a huge fan of both of these shows, 24 and Prison Break and have not missed one episode, that was televised. Dude, screw it. Just bring HOUSE back and call it a day.